There’s been a tendency in horror/suspense films to make the female protagonist the victim, the innocent bystander who waits for her heroic male co-star to save the day. Not anymore, which is just one reason why the recently released film “Sacrifice,” starring actress Radha Mitchell, is so appealing. The other reason is Mitchell herself, the talented Australian actress who has been working in TV and films since her debut on “Neighbours,”an Australian soap opera, in 1985. 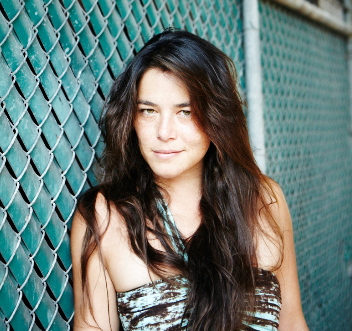 She moved to Los Angeles in the late 1990s and made her mark as a cast member of “High Art” in 1998. Among her other films are “Pitch Black,” “Finding Neverland,” “Silent Hill,” “Surrogates,” and “The Crazies.” One of my personal favorites was her lead role in the TV series “Red Widow,” which ABC sadly cancelled after just half a season three years ago. In “Sacrifice,” Mitchell plays surgeon Tora Hamilton, an American doctor who moves with her Scottish husband to the Shetland Islands—100 miles off the coast of Scotland—in a career-changing move prompted by her recent loss of an unborn child. What she soon discovers in a vacant field near their home is much more unsettling than her miscarriage: the body of a young woman with strange symbols carved into her flesh and her heart ripped from her body. And that’s in the film’s opening minutes. From that point, Mitchell, known for her performances in a number of suspense thrillers (she stars opposite Kevin Bacon in “The Darkness,” which opened in theatres nationwide on May 13) begins to unravel the mystery behind this woman’s death. What audiences will learn, much as Mitchell did when filming in Ireland, is about the legend of the Kunal Trows, characters in Scottish mythology. What her character finds leads her to believe that the corpse is a victim of a contemporary ritual based on that folklore. “Peter Dowling wrote and directed the film, and he has an impressive resume of work, which was one thing that attracted me to this part,” Mitchell said. Another attraction was the plot, a female-centric story where a close friendship develops between Mitchell’s character and a police sergeant (actress Joanne Crawford) looking into the woman’s murder. Mitchell met with Dowling in Beverly Hills before the production started, and plans called for the shoot to be done during July. But filming actually took place during November in Dublin. “It was cold, dark and wet, but that added to the brooding look and feel of the film,” she said. What unfolds is a journey of discovery for Tora—finding her vulnerabilities but also her strengths. 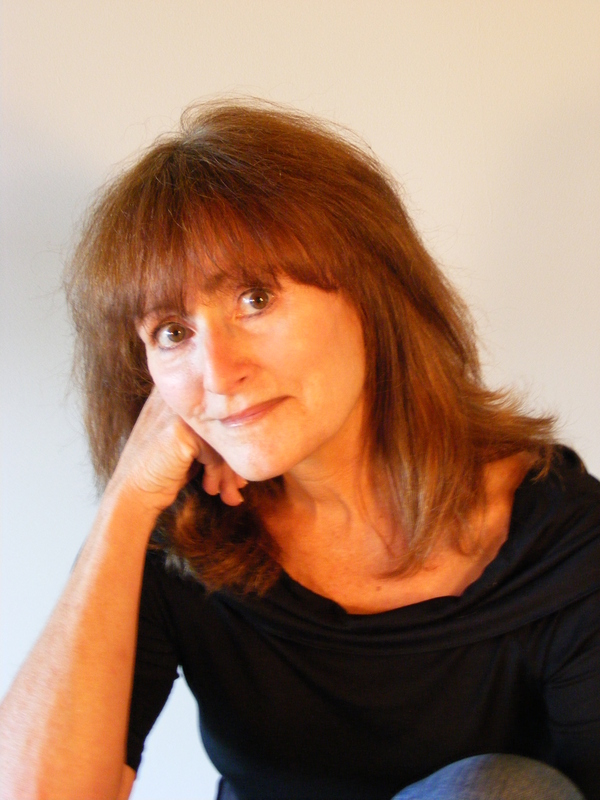 Does she discover these continuing roles in suspense film projects, or do they find her? It’s hard to believe that it’s been nearly 40 years since Rod Serling passed away. The intense TV writer/producer/director/star with the smoky voice and those haunting eyes that greeted viewers each week to his creation, The Twilight Zone, passed in June 1975. Though I was just a youth myself when the original show aired from 1959-1964, I vividly recall many episodes that continued to play in syndication for years to come. Like so many others, my perception of Mr. Serling was that he was dark, serious, intimidating, and very mysterious. But then, I never knew him, until I read a book by someone who did—his daughter, Anne. Her brilliant memoir of her father, “As I Knew Him: My Dad, Rod Serling,” pays a great and deserved tribute to one of Hollywood’s most amazing talents. Serling was a man who fought for his craft, for human rights, for freedom of speech, and who never was fully appreciated. Anne was only 20 at the time of her father’s death (at age 50), but decades later, she finally took to putting down on paper what was written in her heart—a true portrait of her father. Her book tells about Rod Serling’s life from the beginning, his U.S. Army service in the Philippines, meeting his future wife (and Anne’s mother) Carol at Antioch College, the birth of their two daughters, their move to Pacific Palisades in California, and his years as creator and gatekeeper for The Twilight Zone. He wrote or co-wrote 148 of the show’s 156 episodes, an enormous task over just a six-year period. As Anne wrote his story, she came to discover through notes and letters he’d written the tremendous battles he fought and challenges he faced. Through it all, Rod Serling never lost sight of who he was, what he believed, or what he strived to achieve both on camera, and off. Anne recalls visiting the MGM sound stage where The Twilight Zone was filmed. She says the first episode she remembers watching on TV with her dad starred a then-unknown actor named William Shatner in the classic Zone episode where he sees a little green man on the wing of an airliner, and eventually breaks down. Shatner was just one of dozens of actors and actresses who got their first breaks by starring for Rod Serling on The Twilight Zone. 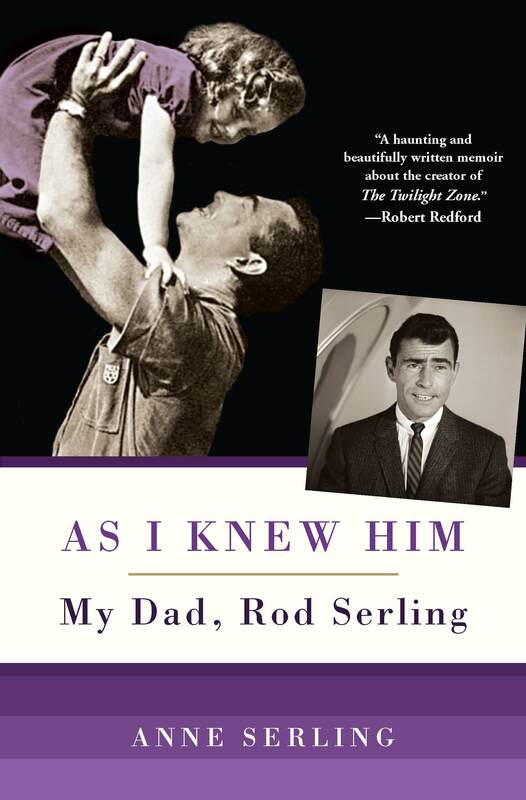 “As I Knew Him: My Dad, Rod Serling” is moving and beautifully written. 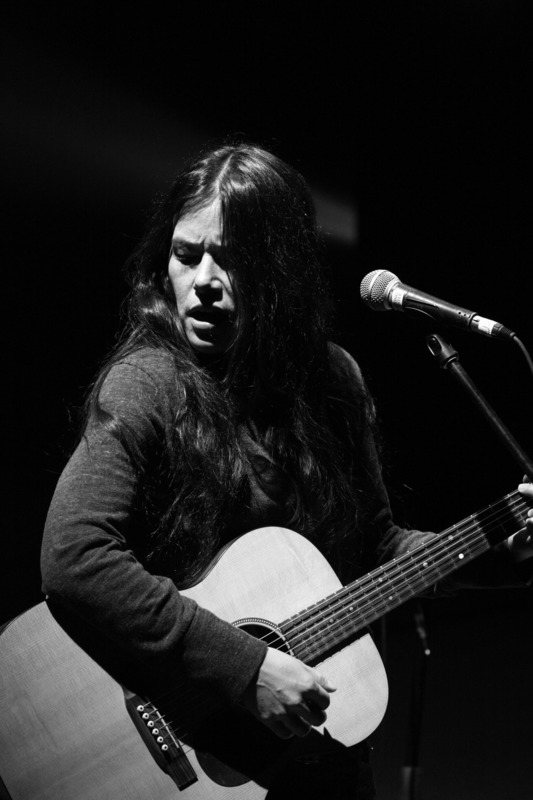 Anne said writing it and recalling all the moments with her father helped her as a mother. I’ve had the pleasure of Anne’s friendship for some time, and when she was notified about the Nashville award, she said, “I only wish Dad could be here to see it and be part of it.” As I along with so many others have told her, he has been…continuing to inspire Anne and her family who’ve shared Rod Serling. As they knew him.